In this new series we ask agents and others who book a lot of mares for their clients which sires might be flying slightly under the radar in this breeding season. Who might be getting overlooked in the rush for the new, hot thing? Read on. I love Lookin At Lucky. Although I’m not really sure he should be under the radar any more after having the GI Breeders’ Cup Classic winner in Accelerate. 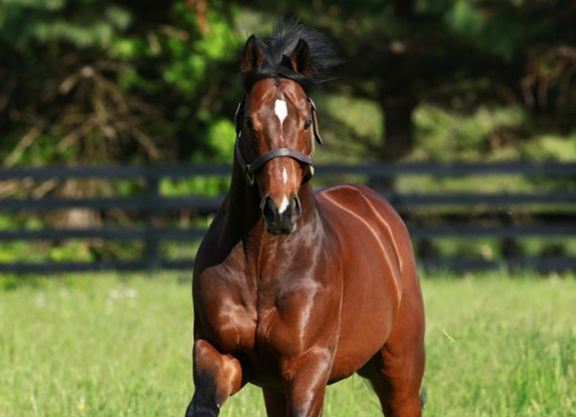 Not too many stallions in Kentucky have sired, or will ever sire, a horse like that. I think first and foremost, he’s able to produce a nice horse. Every time you look up, one of his progeny is running in a top race, and in the end that’s what we are all trying to produce. They typically age well and stay sound. If you bring a pretty one to the market, you’ll get rewarded. People are starting to look at his results on the track and realizing he’s great value. If you’re trying to get a young mare off to a good start and produce a racehorse, I think he’s a great option. Stallions like Lookin At Lucky, Munnings, and Mineshaft, are all great for mares like this. We have supported him over the years and will be sending two more this year. He’s extremely good value at $20,000.